Bay windows with copper roofs and a friendly front porch give this charming home plan striking curb appeal. The interior is equally as stunning and uses well-appointed rooms to make this home ideal for today's families. An open dining and great room showcase details that include ceiling treatments, French doors and a fireplace. The kitchen and breakfast rooms of this house plan are just a step away, and the breakfast room's bay window and walk-in pantry add style and convenience. 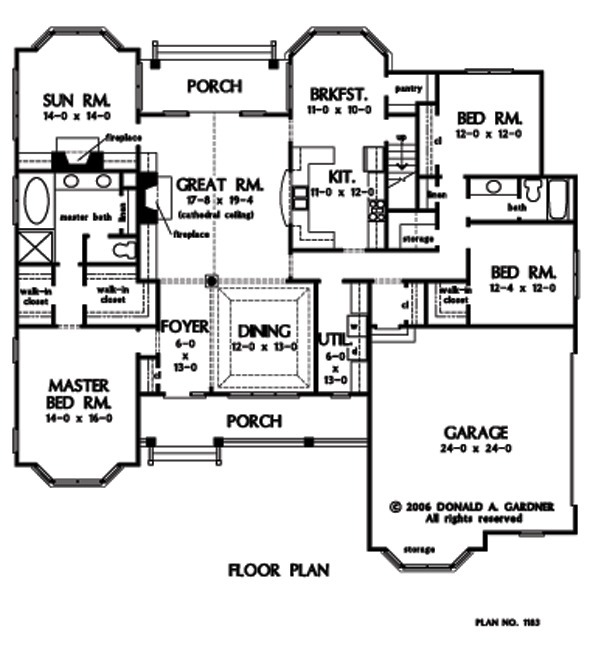 Two secondary bedrooms share a bath on one wing of the home, granting privacy to the master suite. Providing extra space, a bay window grants luxury in the master bedroom in addition to the two spacious walk-in closets and elegant master bath. A sunroom with fireplace completes the home, and its bay window allows sunlight to pour throughout the house. Also noteworthy is the 700+ square feet of bonus space on the second level. 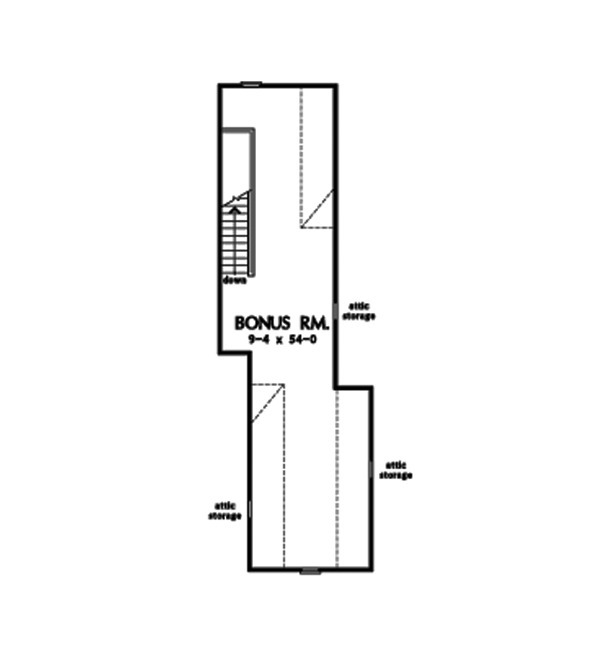 Bonus Room: 731 Sq. Ft.
House Dimensions: 66' 4" x 63' 4"
Bonus Room : 9' 4" x 54' 0" x 8' 8"
Foyer : 6' 0" x 13' 0" x 0' 0"
Garage Storage Bay : 13' 4" x 4' 0" x 0' 0"
Great Room (Other): 17' 8" x 19' 4" x 18' 6"
Other : 14' 0" x 14' 0" x 9' 0"
Porch - Rear : 17' 8" x 6' 4" x 9' 8"
Porch - Front : 27' 0" x 6' 0" x 9' 8"
Storage (1st Fl.) (Sloped): 5' 8" x 4' 4" x 0' 0"